Vegan BBQ Cabbage Sandwich – Midnight Munchies & More! 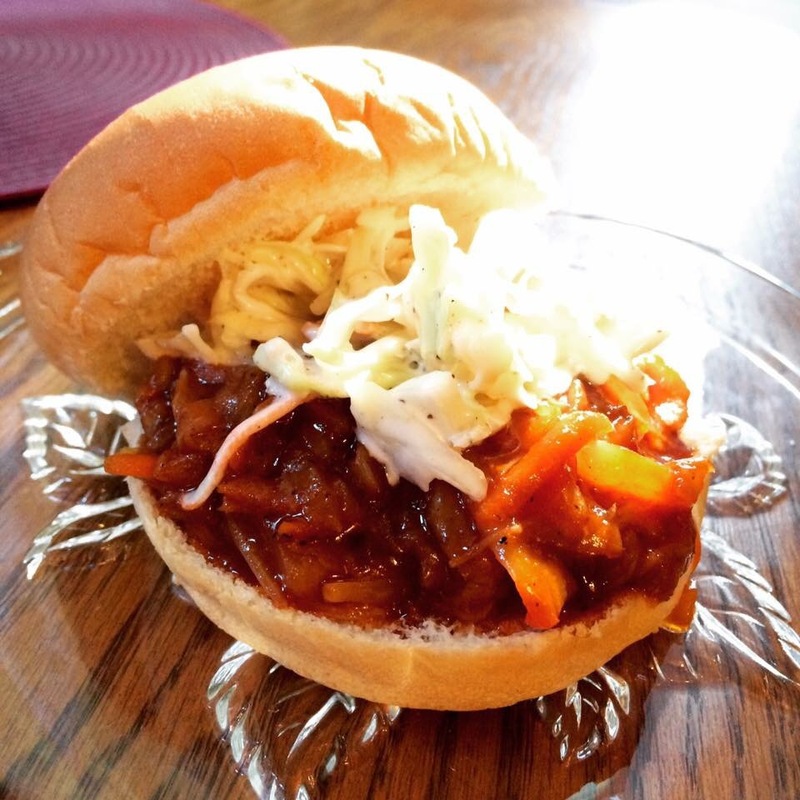 I’m obsessed with BBQ sandwiches, especially in the summer. I’ve tried it using carrot match sticks but I didn’t like the texture as much as I did with the Cabbage. Now, I’ve heard you can use jackfruit and the texture is awesome. However, it’s hard to find. You can sometimes find canned jackfruit in Asian markets. -Mix one bag coleslaw with the vegan mayo, red wine vinegar and salt and pepper to taste then pop in the fridge. -Add your BBQ sauce to the sautéed coleslaw and onion mixture. Thank you so much! After posting it, my mouth started watering! I have a feeling I’m going to make it again this weekend! Oh my…(lol, you make me say that a lot!!) I still haven’t gotten use to my new teeth to be able to eat something like this, but I saved the recipe and I can’t wait to try it.